Trouts own Ivan Orsic is back to talk about the current river and fishing conditions throughout Colorado. Happy Holidays to everyone! 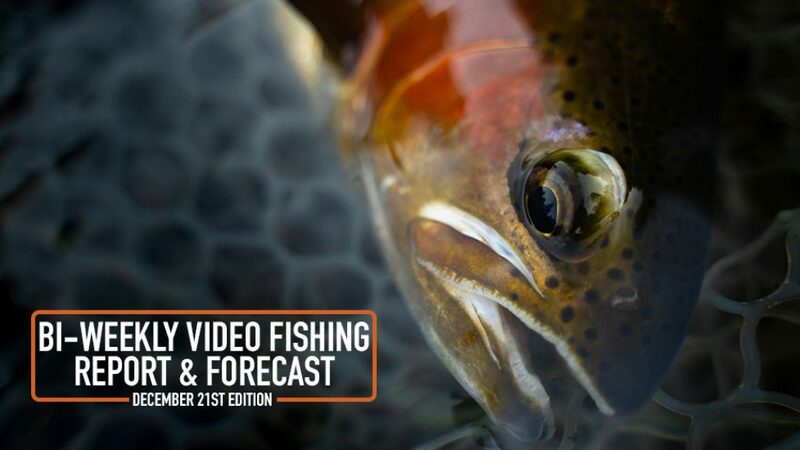 This is the last Bi-Weekly Fishing Report & Forecast of the year. It's hard to believe there are ten days left in 2018. Anyways, it's still winter in Colorado. Midges and attractor flies continue to be the ticket on our favorite rivers. As always this winter, if you run into a sunny day without wind, be prepared for some dry fly fishing!